The Lexus GS luxury sedan is available with a 241 hp 2.0-liter turbo charged inline-four or 311 hp 3.5-liter V6 gasoline as well as a 338 hp gasoline/electric powerplant. The hybrid features rear-wheel drive and a CVT transmission while the gasoline offerings gets an 8-speed automatic transmission and the V6 has the option of all-wheel drive. Good refinement, ride and handling characteristics are offset by a tight cargo area and no folding rear seats. Specification levels are impressive although the aging design and very pricey hybrid version count against an otherwise competent executive sedan. By most objective measures, the Lexus GS is a mighty fine executive sedan. On top of being one of the more affordable cars of its type on sale right now, the Lexus GS is also a very comfortable and refined vehicle that’s also fairly spacious and returns good fuel economy figures. However, despite the updates it’s received over the years, the Lexus GS can’t get away from the fact it’s one of the oldest vehicles in this segment, and – as such – is starting to show its age now. Nevertheless, the Lexus GS is still a very good all-rounder that we feel is worthy of your consideration. The Lexus GS is still a rather pleasant car in which to spend long journeys. Despite sporting one of the older cabin designs you’ll find in this class, the Lexus GS is still a rather pleasant car in which to spend long journeys. 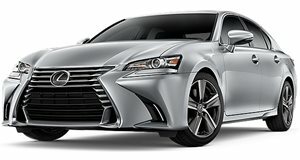 Though vehicles like the and Volvo S90 have moved the game on by noticeable margins, the Lexus GS still boasts an interior that’s beautifully put together with high quality materials, is smartly designed and (bar the touch pad tool, which some may feel to be more obtrusive to use to use than a conventional rotary dial) is easy to operate thanks to the intuitive control layout. Overall space for the driver and passengers is also fairly good, if not exactly class-leading. Bar a slightly restricted amount of head room for passengers in the rear seats (six-footers in the back will find the Volvo S90 to be more accommodating), the Lexus GS does offer an admirable amount of space for people all around. Plus, the seats offer good amounts of support, so longer journeys shouldn’t be a problem in the Lexus GS. It’s impossible to fold the rear seats down – thus meaning it’s impossible to extend the cargo area or carry longer items. Taking the luggage of five people, though, may be rather tricky in the Lexus GS. Though the outright cargo capacity of 14.3 cubic feet is about average for this class (an Audi A6, for example, boasts 14.1 cubic feet of space), it trails behind the ’s capacity of 17.8 cubic feet. Plus, though the trunk opening is broad and there’s allegedly enough space to house four sets of golf clubs, the trunk isn’t especially deep, and it’s worth pointing out that hybrid models only have 13.2 cubic feet to play with due to the placement of the battery packs. What really puts the Lexus GS on the back foot, though, is the fact it’s impossible to fold the rear seats down – thus meaning it’s impossible to extend the cargo area or carry longer items. For sure, Lexus does claw back a bit more ground via the complement of sizeable door bins and center armrest cubby spots, but they don’t do anywhere near enough to overcome that particularly obtrusive oversight. you can place the Lexus GS where you want it on the road confidently and keep it on a secure line. It’s probably a testament to just how on the ball the car when upon release, but the Lexus GS remains a very well-rounded executive sedan to drive that strikes a really good balance between being responsive to drive and pleasantly comfortable. Admittedly, those looking for a more precise driving experience will likely be better catered by the Jaguar XF, the Cadillac CTS or the BMW 5 Series, which offer the slight edge over the Lexus GS in this regard. However, thanks to the well-controlled body lean when cornering, the good forward visibility and the admirable levels of grip means you can place the Lexus GS where you want it on the road confidently and keep it on a secure line when you’re going around a bend. The forward visibility is good, and there’s also a large-by-class-standards rear window is also handy. 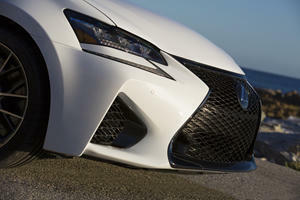 It’s on the open road, however, where the Lexus GS really makes a convincing case for itself. Though we wouldn’t say it’s as cossetting as a Mercedes-Benz E-Class or Volvo S90, the Lexus GS is nevertheless a remarkably well composed vehicle at higher speeds and over rougher roads, making it a mighty fine choice for buyers who spend a lot of their time driving on highways. The Lexus GS also doesn’t suffer from much wind noise and tire roar by class standards either, which further emphasizes its more laid-back credentials. Overall visibility is good, though not quite up to the same levels as the ride quality and refinement. As we’ve mentioned already, the forward visibility is good, and there’s also a large-by-class-standards rear window is also handy. As with many executive sedans, though, the chunky pillars do generate a few notable blind spots – though, since that’s a problem associated with a majority of sedans, it’s not something we’ll penalize the Lexus GS too harshly for. We feel the entry-level 2.0-liter turbocharged four-cylinder gasoline unit will be fine for most buyers. As with most vehicles in this segment, the Lexus GS is available with a broad range of engines that should ensure there’s a version of this car to suit the tastes of most buyers. However, whilst all of the engines on offer are very good, we feel the entry-level 2.0-liter turbocharged four-cylinder gasoline unit will be fine for most buyers. Though not the most potent engine available in the Lexus GS range, this 241-hp and 258 lb-ft of torque unit is still punchy enough to lend the high-end sedan a turn of pace that’s on par with other four-cylinder gasoline-powered rivals. Plus, the 2.0-liter engine is a smooth and refined powerplant that suits the Lexus GS’s character rather well, with the broad spread of torque across most of the rev range also meaning you don’t need to work the engine hard when building up speed. Of course, being the smallest engine in the Lexus GS range, the 2.0-liter turbocharged gasoline unit is also one of the most efficient in the line-up, with the claimed economy figures of 22mpg in the city and 33mpg on the highway making the car in this guise one of the more efficient sedans in this class. Do beware, though, that specifying this engine in F-Sport spec does reduce the city and highway economy by two and three miles-per-gallon respectively. Further up the pecking order is a 3.5-liter six-cylinder gasoline engine that’ll be more appealing to buyers who’d more punch in the Lexus GS. Though it’s debateable whether this larger engine is $4,385 better than the 2.0-liter, the 3.5-liter certainly has more straight line speed as a result of the 311-hp power output, and the 280 lb-ft of torque gives the Lexus GS in this spec marginally more noticeable pulling power across the rev range. And, as with pretty much every engine Lexus makes, it’s very smooth and refined, and the claimed fuel economy (20mpg city/29mpg highway for rear-wheel drive cars; 19mpg city/27mpg highway with all-wheel drive installed) is also pretty good by six-cylinder executive sedan standards. It’s also worth pointing out that, if you really need all-wheel drive, you’ll have to choose the 3.5-liter as it’s the only engine in the Lexus GS range that isn’t exclusively available with rear-wheel drive. All Lexus GS variants come with an automatic transmission, though which one you get depends on the powertrain you select. There’s also a gasoline-electric hybrid model if you’re really after the best fuel economy you can attain in a Lexus GS, but it’s not one we’d instantly recommend. Whilst it’s very frugal as a result of its 29mpg city/34mpg highway economy figures, it’s worth pointing out that the Infiniti Q70 Hybrid (which, at $55,900, is $7,735 less expensive than the Lexus) is claimed to be just as efficient. Plus, as alluded to in the previous sentence, the Lexus GS hybrid is a very expensive vehicle, so – as nice as the efficiency gains are – you’ll need to have a large annual mileage if you’re to recoup the extra money you spent on the list price. All Lexus GS variants come with an automatic transmission, though which one you get depends on the powertrain you select. 2.0-liter and 3.5-liter models get an eight-speed automatic, whereas the hybrid is only available with a continuously variable transmission, or CVT, which doesn’t have any conventional gear speeds to speak of. Both types of transmission suit their respective engines rather well, though there are some issues: the CVT, for instance, isn’t as refined as more conventional automatics, and the eight-speed auto isn’t quite as smooth or as decisive when selecting gears as comparable transmissions in rival cars. The Lexus GS comes with quite a lot of equipment as standard. Calling a car with a starting price of $46,310 “good value” is a preposterous thing to say in isolation, but the Lexus GS does offer surprising bang for your buck in the executive sedan class. On top of being one of the more affordable vehicles to buy in this class bone stock (only the $45,560 Cadillac CTS is less expensive to buy), the Lexus GS comes with quite a lot of equipment as standard. Regardless of which spec of Lexus GS you go for, you’ll have access to items like leather upholstery, a reversing camera, a blind spot monitoring system, power-adjustable front seats and satellite radio, to name but a few items. Perhaps even more interestingly, a lot of those items that come as standard on the Lexus GS are only available as optional extras: an entry-level, $50,200 BMW 5 Series becomes a $55,150 car once you add all the optional gear that the Lexus gets as standard. Upgrading to the $50,695 3.5-liter model doesn’t net you with many extra features, but the larger 12.3-inch infotainment display (other Lexus GS models have access to the smaller 8-inch screen as standard) and built-in navigation are welcome. Especially as the hybrid model doesn’t have access to those items as standard, despite costing $63,635, but at least the hybrid’s standard-fit dual-zone climate control is welcome - though, as other hybrid alternatives from rival car makers are available for substantially less money, we wouldn’t advise you go for the Lexus over its main competitors. Since the Lexus GS is generally well-equipped across the board, there aren’t really any options that we feel you need to have on your sedan. The $500 front and rear parking sensors are ones we feel are definitely essential in a vehicle as big as the Lexus GS, but we’ll let you decide whether the $1,400 Premium Package (heated and ventilated front seats, rain-sensing windshield wipers) and $1,730 Navigation Package (built-in navigation, 12.3-inch display) that are available on the 2.0-liter car are worth your hard-earned money. Likewise, as nice as the Luxury Package (three-zone climate control, adaptive suspension, heated steering wheel) on the 3.5-liter Lexus GS is, it debateable whether this package is worth $4,435. One option we can recommend you avoid, though, is the F-Sport package. On top of being quite pricey (between $4,115 and $7,670, depending on which version you’re upgrading to F-Sport spec), but you don’t really get much for your money outside of more distinctive bodywork, sports seats, a revised dashboard display and sports-tuned adaptive suspension that, if we’re being honest, doesn’t really suit the more relaxed traits of the Lexus GS. Though the Lexus GS hasn’t yet been crash tested yet by the NHTSA, the car should still be safe as a result of its complement of safety and stability systems, on top of the front, side, curtain, rear and knee airbags. Also, the Lexus GS has amongst one of the highest reliability ratings in this class, and the warranties it has for owners to fall back on (four-years/50,000-miles bumper-to-bumper; six-years/70,000-miles) in case anything does go wrong are pretty good by class standards. It’s also worth highlighting that hybrid Lexus GS’s also have a separate eight-years/100,000-miles warranty that covers the hybrid powertrain. Being as old as it is, the Lexus GS was never going to be troubling the best-in-class for outright executive sedan honors. Though by no means a bad car, there are areas where the Lexus GS does lag behind what the newer, more up-to-date competition can manage, so we can’t quite recommend the Lexus GS over its main rivals. That said, there is still lots to like about the very enticing overall package the Lexus GS has to offer. On top of being comfortable and refined, the Lexus GS is also enjoyable to drive, punchy and frugal when compared with its competitors and can, in some instances, offer rather impressive value for money by segment standards. As we’ve already said, there are just too many little niggles here and there for us to recommend the Lexus GS on balance. That said, we do reckon you should at least consider the Lexus GS – and especially if you’re after an executive sedan on a relative budget or are in the market for a less obvious choice in this segment. Lexus plans to keep on investing in the luxury sedan. 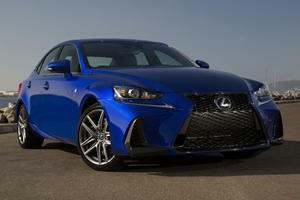 Will The Lexus IS Grow In Size Or Be Killed Off Entirely? We’re now hearing both rumors. Which is true? 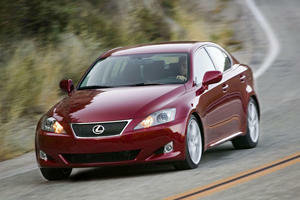 Specifically, the recall affects Lexus IS and GS cars equipped with a 3.5-liter V6 engine. В интеренете нашел нужный веб сайт на тематику www.sellmax.com.ua. Предлагаем вам со скидкой www.avtomaticheskij-poliv.kiev.ua/ у нашего менеджера.